While flip phones went out of fashion in most markets a few years back, consumers in a few countries like China and Japan still seem to find them quite attractive. 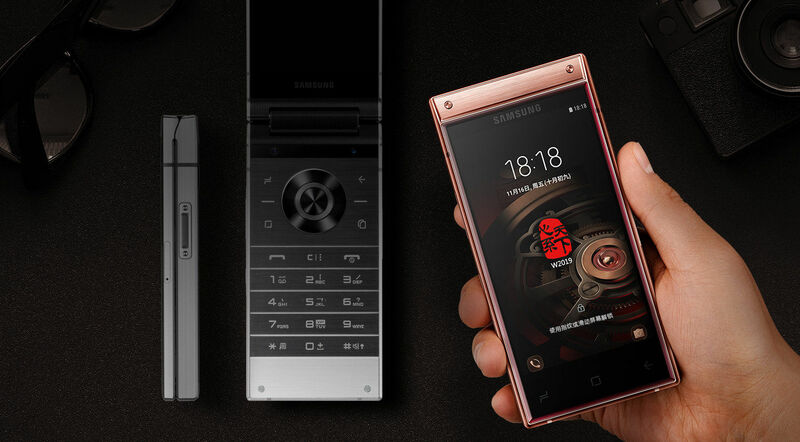 To cater to flip phone fans in China, Samsung has launced the W2019 flip phone in the country. The W2019 succeeds its predecessor, the rather obviously named W2018. The Android-powered smartphone features a side-mounted fingerprint scanner, dual Super AMOLED displays, and Bixby voice assistant. Let’s check out the pricing, availability, and specifications of the Samsung W2019 smartphone. 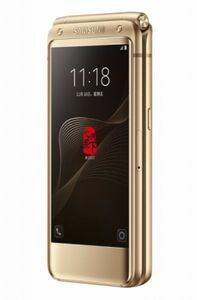 The Samsung W2019 has been launched in two color variants – the Gold Extreme Edition and Platinum Golden Collector’s Edition. Both the editions differ regarding color; the Extreme Edition has Gold color while the Collector’s Edition settles for Sliver. The starting price for the Samsung W2019 is CNY 18999 (approx. INR 1,97,394). Well, at this price, we wonder if the users in regions outside China would be interested in spending such a large amount on a flip phone, especially when they have better and more futuristic choices available. For the ones who have an undying love and nostalgic connection with the flip design, it will be a matter of making a sound decision before emptying their pockets. The Samsung W2019 flip phone comes powered by Qualcomm’s flagship Snapdragon 845. Like its siblings from the Galaxy Note and the Galaxy S series, the Samsung W2019 also sports an AMOLED display. The clamshell design of the handset, however, means that Samsung has used not one – but two Super AMOLED displays – each measuring 4.2-inches across on the device. Apart from the flagship grade Qualcomm chip, the phone also ships with 6GB of RAM and 128GB of internal storage, which can be further expanded up to 512GB via microSD card. As far as the imaging department goes, the Samsung W2019 gets a 12MP+12MP dual rear camera setup with the primary sensor boasting of dual-aperture. As for the front facing camera, the phone ships with an upgraded 8MP sensor to handle video calls and selfies. As for battery capacity, a 3070mAh battery backs the device, which is claimed by the company to last up to 280 hours on standby, on a single charge. And yes, lest we forget, the W2019 also happens to be a dual-SIM capable device, a feature that is quite popular in the Chinese and other Asian markets. The W2019 takes a lot of design cues from its predecessor, the W2018 that is still sold in China. The W-series from the company has always included premium products, which is also followed by the W2019 as it is crafted with anodised, diamond-cut aluminium and glass. The handset has a brushed finish that makes it a head turner. 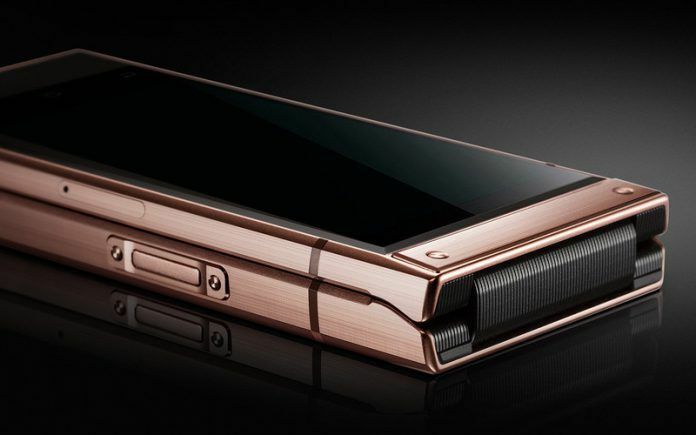 The phone measures 132.9 x 63.4 x 17.3mm and weighs 257 grams. There is a physical T9 keypad on the W2019 that offers single-hand control the users. Interestingly, pressing and holding the number 8 key offers access to exclusive services for 12 months that includes access to various airport lounges and security checkpoints. The same number 8 key is used to trigger the Bixby voice assistant.